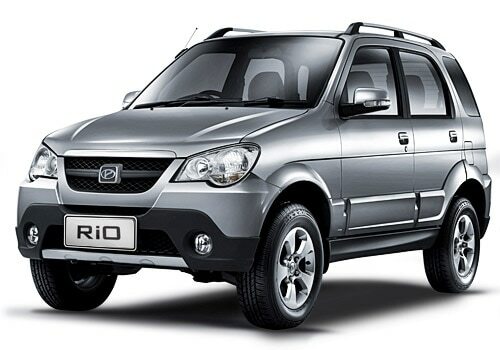 Premier Rio SUV is by far the cheapest SUV available in the country, is in the headlines again, this time for brining in the face-lift diesel version of the compact SUV in the Indian market shortly. However, the Rio’s diesel version is already available in India, but for tier 2 and 3 cities only being BSIII emission norms complaint. Therefore, the company is in the process to make it BSIV complaint so that it might be launched in Tier 1 cities as well. Although the petrol version of the Premier Rio is already there in BSIV, the consumers are now moving more towards diesel run vehicles, so the company contacted to Fiat regarding the sourcing of Fiat’s 1.3-litre MultiJet turbo engine, which they in fact exhibited during this year’s auto expo on their stand indicating that the diesel variant will soon be made available in the market. The company was planning to bring in the first quarter of this year, but due to some unknown reasons, they skipped their plan. But some of our sources suggest that the company is all set to launch the BSIV complaint Premier Rio Diesel in coming two months, most probably in August. The existing diesel unit comes powered by a 1.5-litre, turbo diesel engine that churns out the maximum of 65bhp at 4000rpm and the maximum torque of 152Nm. While the petrol Rio houses a 1.2-litre, 4-cylinder engine that produces the impressive 77 Brake horsepower. Check this space for the latest update on the same. Cheers!